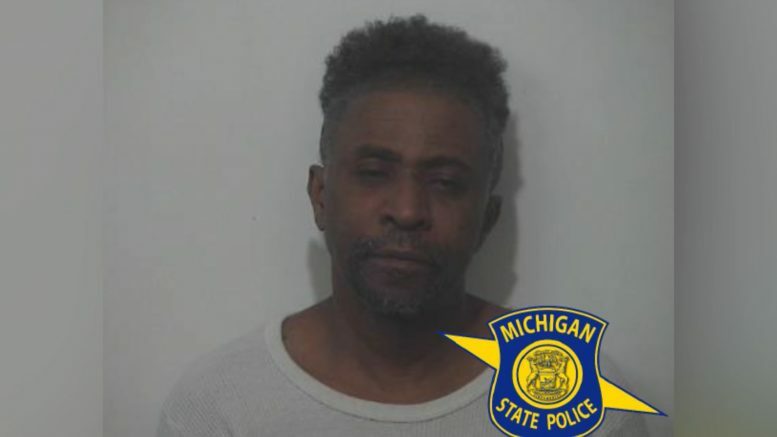 (Photo Courtesy/Michigan State Police) MSP arrested 55-year-old Robert Jones of Alpena on the night of February 13. Alpena, Mich. — a 55–year–old Alpena man was arrested last week for allegedly causing great bodily harm to another man. Michigan State Police troopers responded to a disturbance at an apartment complex in Alpena. They located three men and one woman. Two men were sitting calmly on the couch. The third was on the floor with a bloodied and bruised face. All three men appeared to be intoxicated. Troopers arrested 55–year–old Robert Jones after conducting an investigation and looking at evidence on the scene. He was charged with Assault with Intent to do Great Bodily Harm Less Than Murder and Aggravated Assault. He faces up to 10 years in prison if convicted. The 45 year-old-man who was badly injured was transported to Mid-Michigan Midland Health Center due to severe head injuries. The investigation continues. Anyone with any additional information is asked to contact MSP Alpena Post at 989-354-4101.